The Athos desk is the perfect choice for any modern office environment looking to bring a little more life to their furnishings. The desk is stylish yet practical, as the kidney shaped desktop allows for a comfortable sitting space to help make the most out of your working area. The smooth curve brings a touch of elegance to what would usually be seen as a standard piece of office furniture. 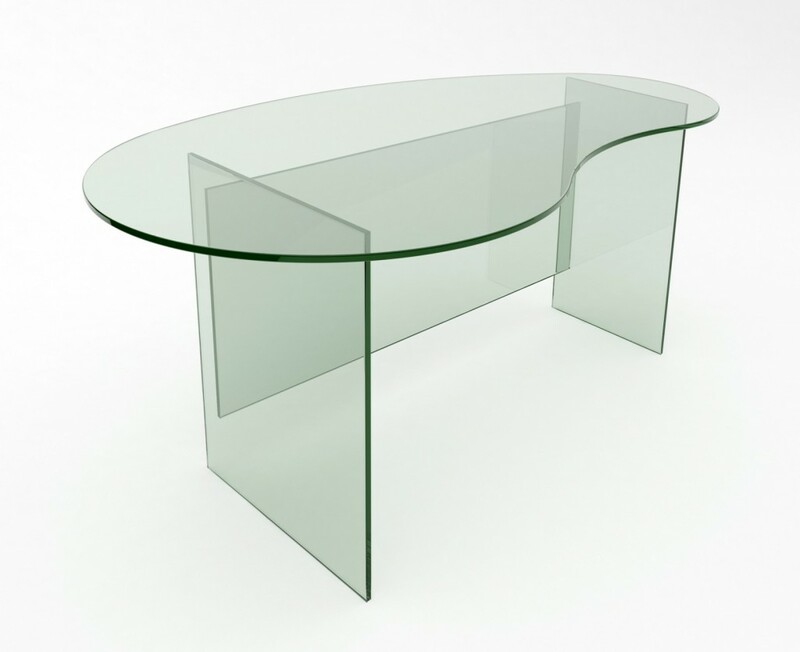 We can assure you that the Athos desk is highly durable and is made entirely of our toughest clear glass. The table top is held up by two strong glass panels which are given additional support by a strong back panel. The standard size comes in at 140mm x 800mm x 720mm, but can be customised to your specific requirements.